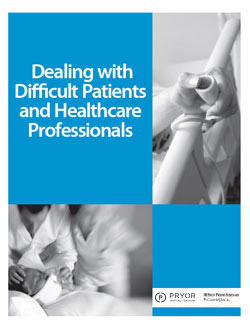 The healthcare environment will always be extremely challenging, but you can change the way you approach it. Learn the skills that will allow you to go back to work with a fresh outlook and make it possible for you to experience a return to the sense of fulfillment, satisfaction and empathy that brought you into the healthcare field in the first place. This seminar equips you with the strategies and communication skills you need to survive and thrive in your demanding, high-stress healthcare position.